First published in 1986. 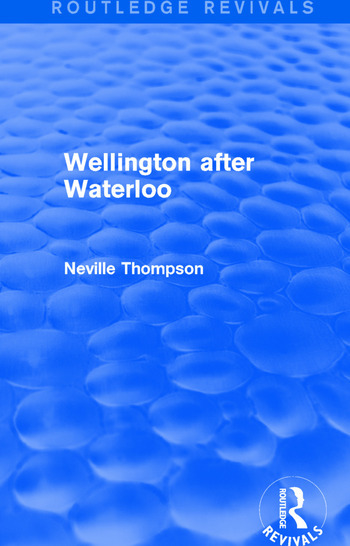 In this book Neville Thompson traces Wellington’s life after 1815 using then new archival and documentary records. The work examines the development of Wellington’s character and outlook, and assesses the significance of his persistent involvement in politics over three decades. It shows the Duke was a crucial figure in the development of the compromise between reform and the preservation of traditional institutions and practices. This title will be of interest to students of history.